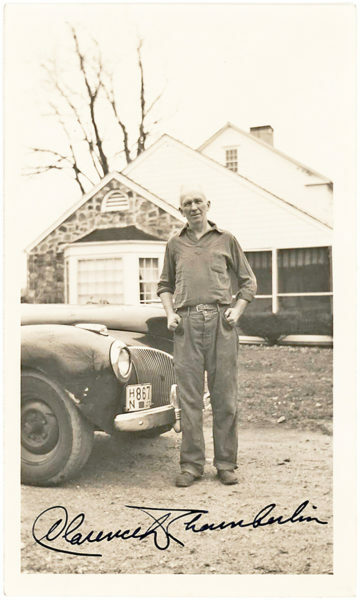 LEVINE, CHARLES A. (1897-1991). Millionaire scrap dealer who was the first recorded airplane passenger on a transatlantic flight. Signed envelope. (“Chas. A. Levine”). 1p. Envelope. 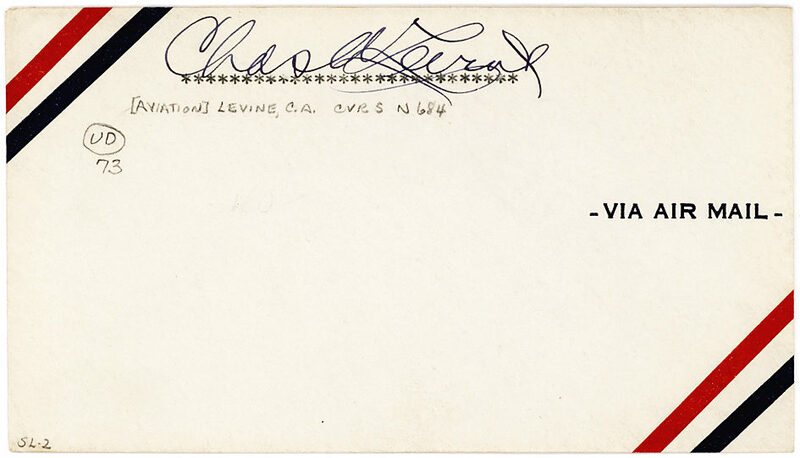 N.p., N.d. An unused airmail envelope signed by Levine above a line of typed asterisks. After becoming a millionaire selling the metal from World War I surplus shell casings, Levine invested in the Columbia Aircraft Company, which designed an aircraft Levine hoped could win the $25,000 Raymond Orteig prize for the first non-stop flight between New York and Paris. 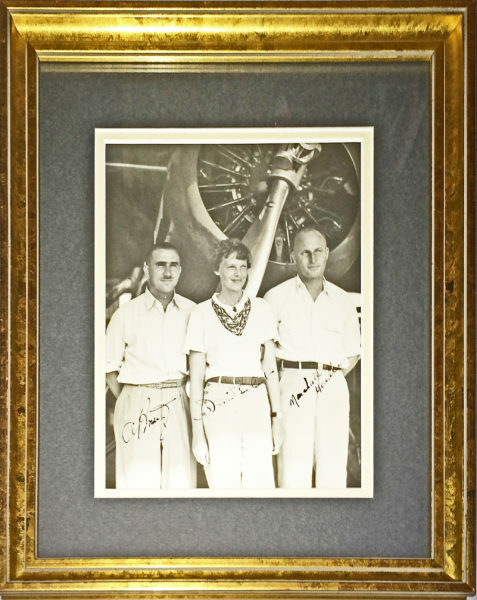 Clarence Chamberlin was to be the pilot and Lloyd W. Bertaud the co-pilot. However, Levine decided he wanted to fly in Bertaud’s place and a court battle ensued, delaying the trip. 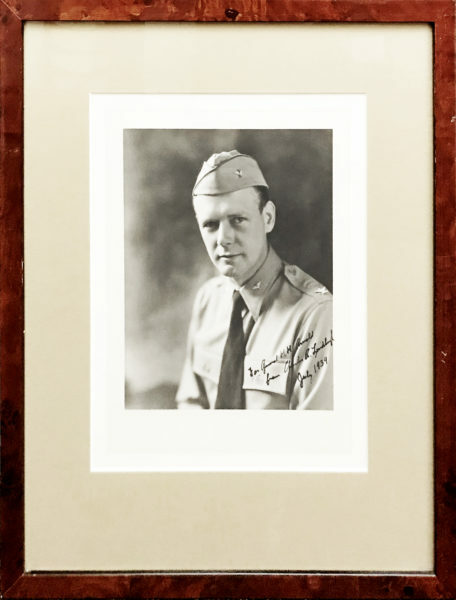 In the meantime, Charles Lindbergh flew from New York to Paris on May 20, 1927, and won the prize. Undeterred, Levine and Chamberlin decided to set a distance record, and left on a non-stop flight from Roosevelt Field to Berlin, Germany in their Bellanca monoplane, Columbia. This flight, though falling short of its goal, was the second non-stop transatlantic flight, longer than Lindbergh’s by 315 miles, and the first to carry a passenger. “Levine and Chamberlin were celebrated as heroes by the media, by the world. Royalty, society and women threw themselves at Levine and he responded. The President of Germany, Paul Von Hindenburg personally welcomed them. The American Ambassador to Germany met the fliers and presented a congratulatory cable from the President of the United States, Calvin Coolidge… In the ensuing weeks, Charles A. Levine was granted a private audience by the Pope, in the Vatican. It was the first private audience granted to an American ever in the throne room… Levine met and amicably discussed flying with the prime minister of Italy, the founder of Italian Fascism, Benito Mussolini. The Jews in America and Europe went wild with adulation for one of their own. Jewish breasts swelled with pride as one song title proclaimed, ‘Hurrah far unzer held [for our hero] Levine.’ It was a deep-seated need to be proud, to affirm. It was one of their own who did good,” (“Jewish Aviators, Charles Levine and Arthur Welsh,” The Jewish Magazine, Klinger). Levine lost a substantial amount of money in the 1929 stock market crash, and his fortune further declined when he was sued for back taxes; some of his planes had to be auctioned off to pay back rent. A suspicious hangar fire that destroyed the planes led to a warrant for his arrest and between 1932 and 1942, Levine served time in prison for charges ranging from smuggling, counterfeiting, arson and violation of workman’s compensation laws. With a few light pencil notations. Very light wear and near fine. Uncommon.